Our friends over at BGR have found some interesting tidbits in the latest iOS 4 code. 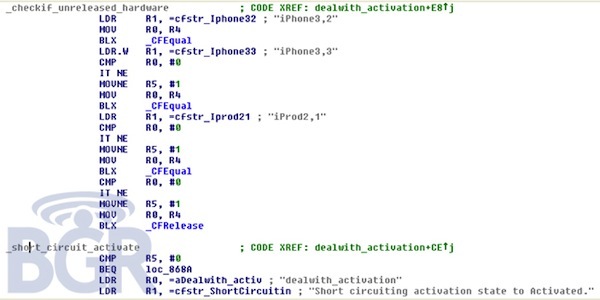 The block of code shown above is similar to code that commonly appears before a major product launch, leading many to believe this is proof of an impending Verizon CDMA iPhone or second generation iPad. Apparently the code will allow a CDMA iDevice to bypass iTunes during the activation process, allowing for auto-activation of a CDMA iPhone or iPad. The reason for this is to allow for field-testing by carriers without the need to activate the device. The code, in the past, is removed right before the carrier launches the device.